Some 500 people gathered on election night at the Neal-Marshall Black Culture Center on Indiana University’s campus to watch history unfold in real time. By 11 p.m., the mood turned somber and the party wound down as it became evident that Donald Trump would be the nation’s next president, an outcome many people present feared. What do you do when you feel as if you’re on the wrong side of history, that your voice hasn’t been heard? You gather yet again and mourn together. Director Monica Johnson said on Wednesday that’s exactly what about 200 people did, with the center (which uses the slogan “where you belong”) quickly organizing a “relaxed, release lunch” during which students and members of the black community gathered again at the center to mourn. Johnson said many black students are feeling unsure if they are safe on campus and around town. Others have expressed fears that the president-elect will start wars that their friends and family members will have to fight in, or that their health care coverage will be lost or the progressive LGBTQ marriage equality laws will be repealed. 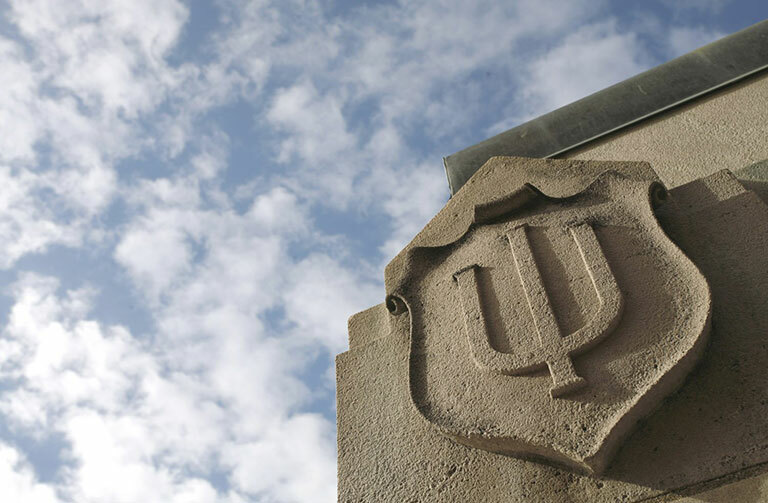 Doug Bauder, director of IU’s GLBT Student Support Services, said there hasn’t been a flood of students seeking counseling services since Tuesday, but rather a constant flow of members of the LGBTQ community simply needing to shed a few tears in a safe place, sharing many of those same fears. Bauder admitted to feeling what he called despair when he first woke up Wednesday morning, but soon began to realize (with a little help from TV late night host Stephen Colbert) that human decency can and will win out, he said. While Bauder said he has experienced disappointment in past elections and can absorb the blow a bit more easily, he understands that the younger generation — possibly voting for the first time — will feel this sting for quite a while. Among area Muslims, the reactions have been as wide and varied as their professional and ethnic backgrounds, Anna Maidi, president of the Women’s Committee at the Islamic Center of Bloomington, said on Friday. “I think the Muslim community is like any community. We’re diverse. Certainly, there are some people who are afraid, and there are others who think it’s being blown way out of proportion,” she said. “Obviously, we don’t want to be attacked. We don’t want to be afraid in our own community. We want to feel safe. Maidi said apart from a few instances floating around social media and reported by The Herald-Times, she hasn’t heard of many instances of harassment, and none among the Muslim community. Barbara McKinney, director of the Bloomington Human Rights Commission, said the commission has received several reports of incidents from Bloomington police and anonymously from individuals. Friday on the B-Line Trail, swastikas and “KKK” were found painted along the path and on nearby light poles. Graffiti on a stop sign read “Trump,” while on Saturday graffiti was found on the Monroe County Democratic Party Headquarter’s windows depicting pro-Trump and anti-Hillary Clinton slogans. The Bloomington Human Rights Commission collects data on hate crimes and bias crimes from police, individuals, groups, the media and anonymous reports. On Facebook, a local black woman’s account of being verbally assaulted on Wednesday by white men in a truck had been shared more than 1,400 times with nearly 600 comments by Saturday evening. The 33-year old woman says the men yelled derogatory names at her, including the n-word, and said “Trump is going to deport you back to Africa.” On the post there are many messages of support, while some say her claim is “clearly fabricated,” further illustrating the divide many individuals in a minority group now fear. Rallies at Showalter Fountain and other sites around town have provided catharsis for many people looking to vent their frustrations. Nancy Stockton, director of CAPS, IU’s Counseling and Psychological Services, said this election couldn’t have come at a worse time for students. With final exams approaching, Stockton said CAPS’ individual counseling services have been booked full. At the Islamic Center, Maidi said the Muslim community will continue its mission of outreach and education.